The United Kingdom Government is publicly committed to exploitation of shale gas reserves in the UK, arguing that shale gas will be an important part of the country’s future energy mix and will make a significant contribution to energy security. It has consequently taken steps to simplify the procedure for obtaining permission for shale gas and oil developments and is taking forward a number of proposals to encourage shale gas development, including tax incentives and a “Shale Wealth Fund” to benefit communities that “host” fracking operations. [2, 3, 4] Ninety-three new licenses for exploration of onshore oil and gas sites were awarded in 2016. The environmental risks of fracking are well known. These include groundwater contamination, depletion of water resources, pollution of water courses, methane and other gas leakages, ground contamination, increased seismic activity, as well as noise, dust, and other pollution from infrastructure development and extraction operations. However, risk assessments have tended to focus on the physical impacts of fracking on the environment with little consideration of the likely human rights implications. Most international human rights instruments date from a period before environmental concerns rose to prominence and, therefore, few specifically protect the right to a healthy or sustainable environment. However, the close connection between human rights and the environment and the potentially adverse impact of environmental degradation on a whole range of human rights is now increasingly recognized and reflected in the practice of human rights courts and tribunals, at national, international and regional levels. The most significant of these, from the perspective of the UK, is the European Convention on Human Rights (the Convention) which is implemented in UK law via the Human Rights Act 1998. 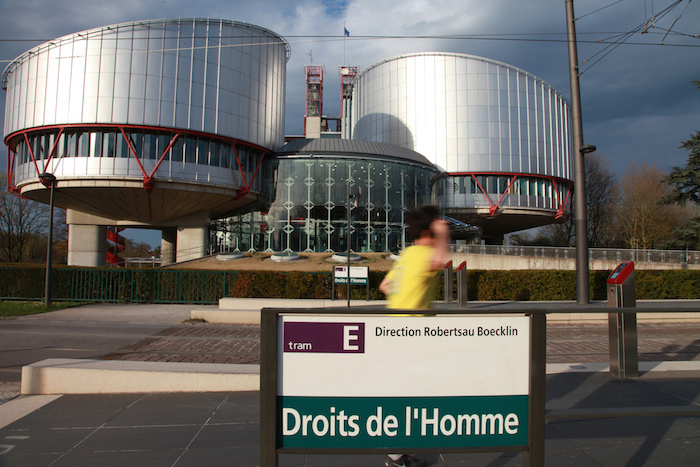 While the Convention does not specifically recognize a right to a healthy environment, the European Court of Human Rights (the Court) has emphasized that effective enjoyment of many of the rights protected under the Convention, most significantly, the right to life (Article 2) and the right to respect for private and family life and the home (Article 8) depends on a healthy environment. The Court’s judgements increasingly reflect the idea that human rights law and environmental law are mutually reinforcing and demonstrate an increased willingness to draw on international environmental principles and standards to establish and elaborate the human rights implications of environmentally risky actions. Lopez Ostra v Spain was the first major “environmental” decision of the Court, in which it held that the failure by the state to protect the applicants from pollution emanating from a waste treatment plant was a breach of Article 8 since the pollution affected their wellbeing. In Taşkin v Turkey the applicants challenged the national authorities’ decision to permit the use of cyanide at a gold mine, arguing that it posed a threat to the environment and that this could potentially affect their rights under Article 8. [11,12] The Court upheld the complaint, dismissing the Turkish government’s argument that the risk to the applicants was purely hypothetical as there had been no accidents at the mine. The similarities between the facts that gave rise to cases such as these and the potential risks associated with fracking are plain to see. The approach of the Court strongly suggests that the current and growing convergence between environmental standards and human rights will play an important part in any future deliberations concerning the human rights impacts of fracking. Arguments about the risk to the environment posed by fracking operations, however, often overlook the most serious long-term risk, namely that heavy investment in shale gas exploration and exploitation will prolong the future use of fossil fuels and potentially displace investment in alternative forms of energy less environmentally damaging, thus contributing to climate change. The threat to human rights from climate change is widely recognized and has been clearly mapped by John Knox, the Independent Expert on the issue of human rights obligations relating to the enjoyment of a clean, healthy, and sustainable environment. It is highly doubtful that the risk posed by fracking to the environment and thus to human wellbeing can be eliminated in the short term, but the potential long-term implications of fracking for climate change and human rights provides an even more compelling reason to oppose fracking. A recent announcement by the Scottish Government indicating that it will not support fracking in Scotland is therefore greatly to be welcomed. This decision followed a public consultation in which 99 percent of respondents indicated opposition to fracking. It is also highly significant that the UK Government’s “Green Growth Strategy” presented to Parliament in October 2017 emphasises the use of renewable energy and makes no mention of development of unconventional oil and gas. These are hopeful signs that the enthusiasm for fracking in the UK may be waning and that the voices of those arguing for the decarbonization of energy production are growing stronger. Infrastructure Act 2015. §§ 43-48. Retrieved October 9, 2017, from http://www.legislation.gov.uk/ukpga/2015/7/contents/enacted. HRC. (30 December 2013). Report of the Independent Expert on the issue of human rights obligations relating to the enjoyment of a safe, clean healthy and sustainable environment: Mapping report. A/HRC/25/53. Council of Europe. (2012). Manual on Human Rights and the Environment. (p. 30). Strasbourg: Council of Europe Publishing. Oneryildiz v Turkey, ECtHR Application No 48939/99 (30 November 2004); Taşkin and Others v Turkey, ECtHR Application No 49517/99 (10 November 2004) para 99 and 119. Lopez Ostra v Spain, ECtHR Application No 16798/90. (9 December 1994). Taşkin and Others v Turkey, ECtHR Application No 46117/99. (10 November 2004). Epigraph from Cullinan, C., & Berry, T. (2011). Wild law: a manifesto for earth justice. Vermont: Chelsea Green. Evadné Grant is Associate Head of the Department of Law at the University of the West of England in Bristol, UK.